Does Saudi government allow Umrah in the month of shawal? 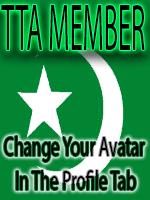 Welcome to Turn To Allah forums. Here, Muslim brothers and sisters are welcome to discuss, share or ask about questions related to Islam. *Special separate forums for Brothers and Sisters. *Discuss or ask about Islam. *Registration for free and 100% access to all the forums. Join today and get 100% access.